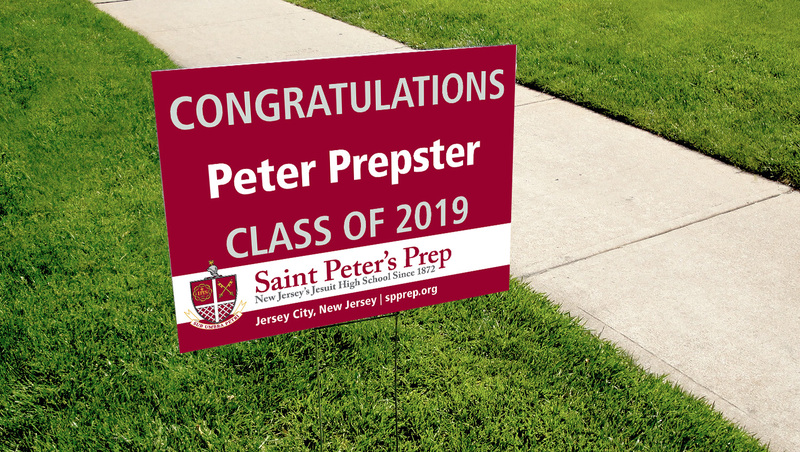 Saint Peter’s Prep is proud to present a personalized graduation yard sign to each member of the Class of 2019, free of charge. It’s a great way to celebrate each graduate’s achievements and share your Prep pride with your neighbors! By default, each senior’s sign will have his full first and last name, as they appear in PowerSchool, but we do take requests, as some families prefer just a first name or even a nickname. Senior parents can complete the form below to request a different personalization.